The world of volunteerism is progressing and Do Some Good is contributing to this shift. Traditionally, when people thought about volunteering it included visions of serving food at soup kitchens, sorting cans at the food bank, or coaching a youth sports team. These are great and admirable contributions still today, but not everyone can do them. We know life can get hectic and making time for things like volunteering might not get prioritized when trying to balance work, family, and other commitments. Maybe the only down time you have is on the road between meetings or at home, outside of business hours when your local food bank or other charity you care about is already closed. Don't worry, you still have options! Today’s volunteering and community impact efforts go above and beyond the traditional outlook. Thanks to the development of virtual volunteerism, volunteering can be done from anywhere AND at any time! Virtual volunteerism constitutes any volunteer tasks completed over the phone or internet. 1-hour phone calls for business advice, mentorship, etc. Many organizations need help with their website, business development, accounting and social media. These specialized skills take up a lot of the funds that these organizations work so hard to raise, which are costs that could be replaced with virtual volunteerism. 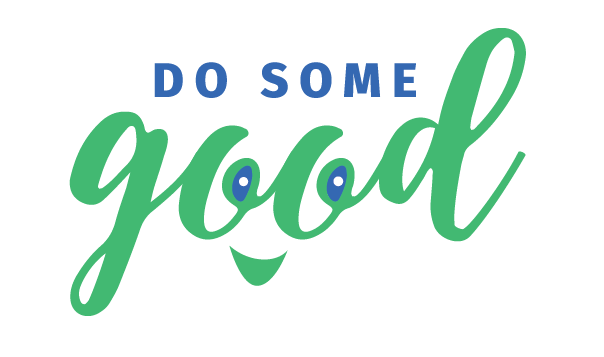 If you are part of an organization, make sure to post virtual positions on Do Some Good! With a rapidly growing community of volunteers, you will have access to countless qualified people across Canada and save money along the way. View our Case Study here. Do Some Good offers extended search filters to find the right position for you. You can easily choose to filter the search results to show only virtual positions, and even go a step further by also filtering based on your skill set. Helping our local communities is a huge priority, but virtual volunteerism is allowing us to think even bigger than local. More positions and opportunities for reserved or tech savvy employees, lawyers, accountants, etc. We know employee engagement can be hard for businesses, especially if your employees are feeling overworked or are just naturally more introverted than others. Do Some Good gives them the option to volunteer virtually, allowing them to feel as though they are contributing wholeheartedly to the collective impact of your company without messing up their schedules or routines. Win-win! Contributing to your community should not feel like a chore. With virtual volunteerism, it is easier than ever to give back, no longer restricted by busy schedules or geographical location. The next time you find yourself at home aimlessly scrolling through your Facebook feed or on a long drive by yourself, consider how you could be effectively using your time. With next to no physical exertion or disruption of your schedule, you could be making a difference in a community on the other side of the country.